I think they got the language messed up the way they made the sign. 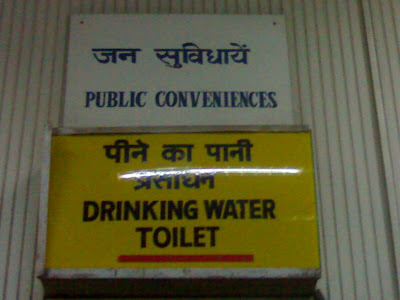 Nobody wants to drink water out of the toilet but the sign could give that impression. I remember the Japanese had a lot of problems in trying to use English on their signs to attract western people and the results were often really awful and a few funny. Well, waste not want not I guess! Bravo ! For capturing the board. I don't know what others think about this foto, for me it is simply priceless.